Android 5.0 Lollipop and its Material Design still seem like a distant dream for many Android users. While Google was quick to update some of its core apps with the Material Design even before Lollipop was released, it has just done the same for the iOS variant of the Google Search app as well. 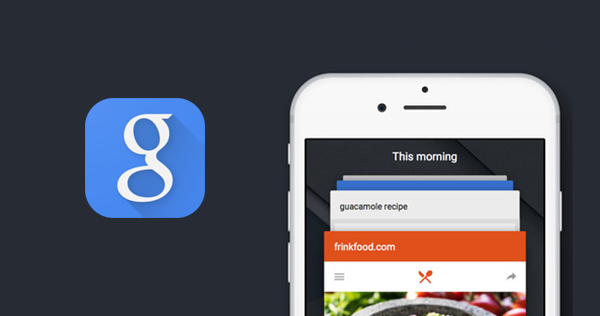 Not only does the new Google Search app carry the fabled Material Design, it also brings in a bunch of new features. Unlike the Google Search app that most of us have been accustomed to on our iPhones and iPads, version 5.0 has been overhauled, bringing it in line with the newfound design language of Google, and judging by the looks alone, it looks pretty slick with its bottom-placed navigation controls. The navigation bar can of course slide out of view, but the big blue ‘g’ button will stick around to help with some quick searching. Interestingly, Google has placed a recent searches button in the navigation bar, which bears an uncanny resemblance to the recent apps / multitasking button on the Android OS itself. Finally, the image searching portion of the app has received a much needed improvement with a redesigned interface, where image results are shown in a full-screen mode and presented in a mosaic-styled look, so as to not cramp up a user’s experience when browsing through images on Google. 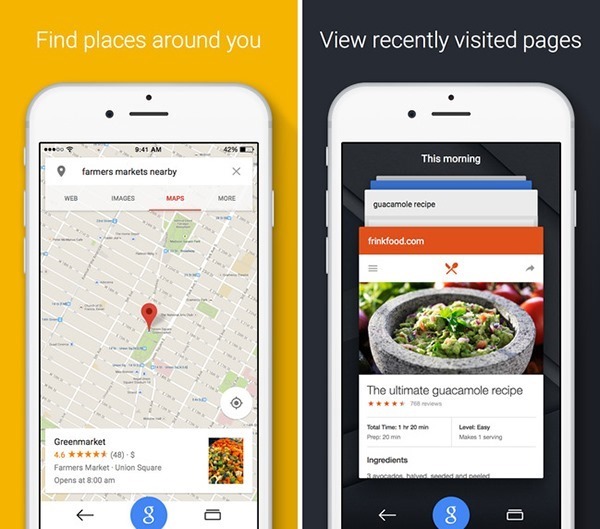 Google search results have long had Maps as a part of the entire experience, and while there were Maps – so to say – with the earlier versions of the app, it often required users to open up Google Maps app separately. The new Google app now allows users to explore not just maps, but Street View, and nearby places right from the app itself, thus not popping up a separate app. Unfortunately, the Maps exploration and Street View access feature from within the Google app is only available for the iPhone, and iPad users will have to sit this one out. Apart from all the goodness mentioned above, Google has topped things off with support for iPhone 6 and the iPhone 6 Plus. So if you’re in the ownership of Apple’s latest and greatest smartphones, then now is the right time to download / update. 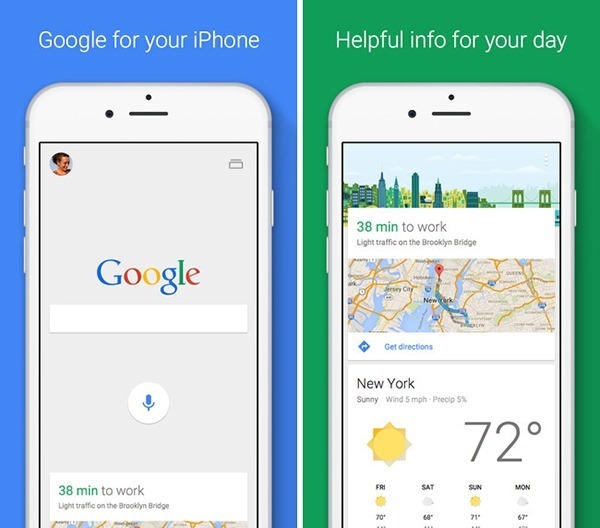 Google for iOS is compatible with iPhone, iPad and iPod touch and requires iOS 7 or above.